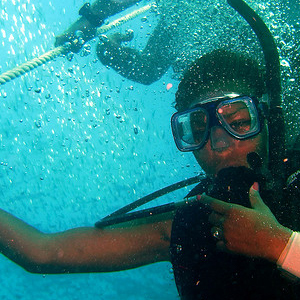 Our scuba diving trips operate using only the finest Newton dive boats. Our newest vessel is a modern, state-of-the-art 50-ft. Newton diving vessel and is also our fastest dive boat. All of our boats include fresh water showers, rest rooms, large dive platforms and ladders, plenty of storage space for dive gear and photo tables to safely place your photo and video equipment. Become a scuba diver! 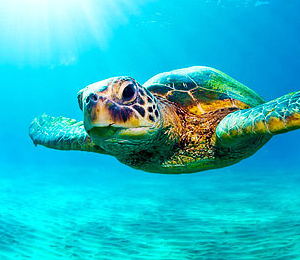 While in Key West why not try out a scuba diving certification course. Let the friendly and experienced dive instructors help you complete your certification with us. 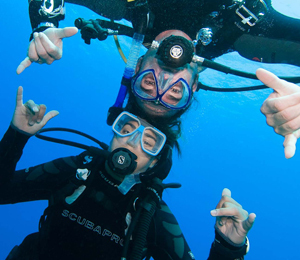 Our Certified instruction courses will allow you to dive anywhere in the world. Our affordable scuba diving certifications will get you fully certified in as little as two days. Limited Spaces Available! For reservations call (866) 563-1805. 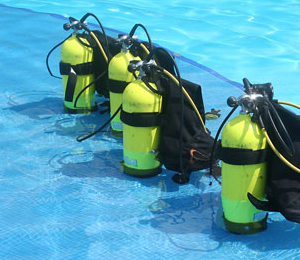 Key West Dive Center provides top quality Key West Diving. Our company operates state-of-the-art dive boats including our custom built 50' Newton Diving Boat, which is the newest and fastest in Key West. Our boats have fresh water showers, restroom facilities, large dive platforms and ladders, ample storage space for dive gear, and photo tables for photo and video equipment. Join us on one of our many scuba diving trips in the waters off of Key West. Key West is home to some of the most wreck rich sites including the Vandenberg. Key West is the best vacation destination for anything tropical, and especially the best for any activity that is in the water. With crystal clear, blue, ocean waters, Key West is the prime location for scuba diving or snorkeling, and conditions usually stay around the same year round. Our Morning Wreck Dive is a daily tour that leaves at 8:30 a.m. This tour takes passengers out to see the newly sunken Vandenberg, a 520-foot U.S. military missle-tracking ship. For an afternoon dive, try departing at 1:00 p.m. on the Afternoon Dual Reef Dive. 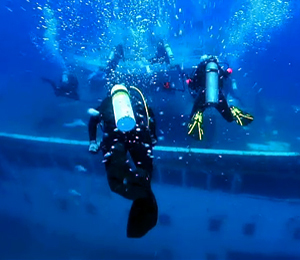 If you have people in your group that cannot scuba dive, then this is the perfect tour for you. It accommodates families with both scuba divers and snorkelers, and they can enjoy going out all together. Could there be any better of a combo than snorkeling and sailing (other than peanut butter and jelly)? There is no better combination than these two combined with your Key West vacation. 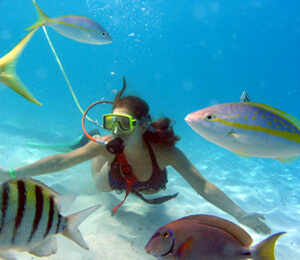 Try the famous Catamaran Reef Snorkel, and join the fanclub of thousands of visitors it has carried over the years. This luxurious 69-foot catamaran takes passengers out to the beautiful scenic views of the oceans surrounding the island of Key West, then to the largest living ecosystems in the country, the coral reef. Want to explore the beauty of the underwater kingdoms that exist off of the shores of Key West, but don't want to wear all the equipment of a scuba diver, learn how to scuba dive, or don't want to have to keep coming up to the surface for air? Then choosing the new Key West Snuba Diving is the choice for you. This tour offers a safe way to experience being submerged in the water and going to great depths into the ocean like a scuba diver, but with snorkeling level skills. It's fun, relaxing, and most importantly, memorable! 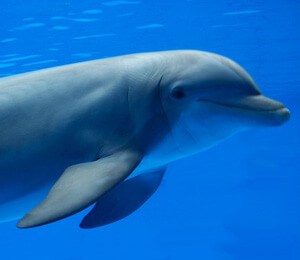 Key West's warm waters are the home to thousands of dolphins. These dolphins are very social and interactive with guests on the Wild Dolphin Encounter And Snorkel tour. Passengers aboard this intimate tour get an interesting look at the world of dolphins below while in small, personal groups which makes for a very personalized experience. Once arrived to the destination of the coral gardens, guests get to snorkel and see the wildlife up close and personal. Need help booking your tour? Our professional and local staff is here to help. Contact one of our local representatives by calling (866) 563-1805 or click the live chat button to right.